FAQ and Articles - I tried to pay for the order and connection was lost between PayPal and your server. What can I do? HomeFAQ and Articles	I tried to pay for the order and connection was lost between PayPal and your server. What can I do? If a PayPal transaction was not completed, you can do it manually through your account on www.PayPal.com. Login to your account on www.Paypal.com and check the "Activity" - if the payment is made, you will see the name of our company, the transaction status "Completed" and the "Payment Confirmation Number". You will also receive e-mail from us, with the details of your order, and instructions on how to complete the payment. 1. Login to your account in www.paypal.com. 2. Select the "Send & Request"
3. Select "Pay for goods and services". 4. Enter our e-mail address as it appears in the confirmation message you received when you created the order on our site. 6. Select correct currency as in your order for "Recipient gets" field. 7. In the line "Amount" enter the amount . 8. In the "Note" write your order number. 9. Select your correct shipping address from the drop down and lick "Continue". 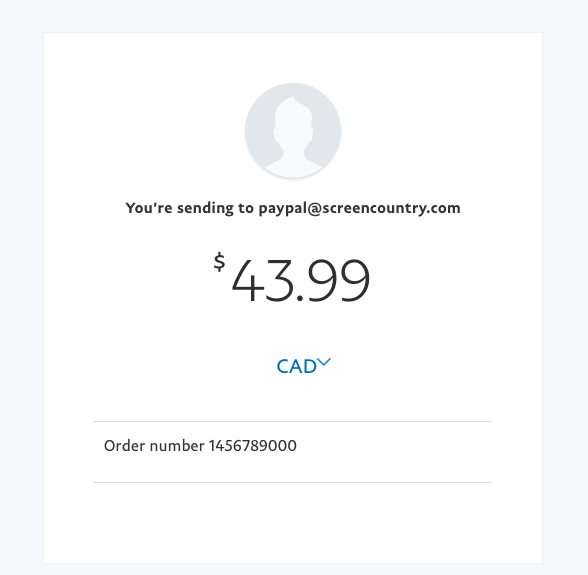 Make sure to include your correct order number from the confirmation e-mail sent by our site when you created the order, so that our system recognizes your payment immediately and we will able to handle your order without a delay.